Horse racing has been nicknamed the 'sport of Kings.' 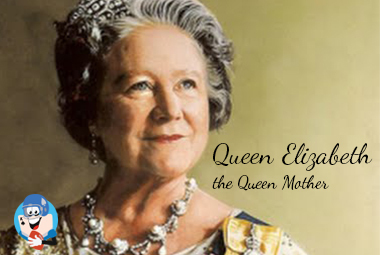 In the case of the Queen Mother who died on March 30, 2002, it should have been named the sport of Queens. Queen Elizabeth, a wise beloved ruler who remained faithfully married to her husband for nearly 30 years until his death, was a woman of the people. She drank gin, played the horses, owned a stable of thoroughbred race horses, and greeted old men who sneezed with 'God bless you' as her carriage passed them. The Queen Mother was a character, no question about that. She was beloved by her subjects and enjoyed playing queen, wearing her duster coat and the domed hat with the up-turned brim. She passed away on an Easter Saturday that dawned dark and blustery. More than 200,000 people filed past her coffin. They genuinely mourned the loss of their queen. Not that gambling was peculiar to Royalty. Elizabeth came from a long lineage of punters, drinkers and gamblers who shared the British passion for the good life. At the time of her death, it was said she owed millions to London's bookies. Elizabeth was just 14 when she met George, five years her senior. It was love at first sight for her and they remained in love throughout their marriage. Daughter of the Earl of Strathmore, she was born to Royalty and enjoyed the prestige of being Queen. She had many peculiarities special to her status. For one, when she retired to her bedroom, a bell would ring. For another, a patrolman would sit outside her bedroom while she slept. She had a reputation for tripping and falling. Her constituents thought it was because of her drinking. Nonsense, her defenders said. It was because of the high-heeled shoes she wore. One place Elizabeth did not attend was a gentleman's club known as White's. 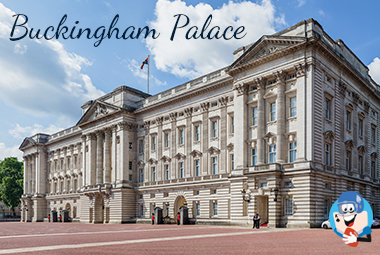 Located on St. James Street in London, the club's prestigious members included Prince Charles, Prince William, the Duke of Cambridge and British Prime Minister David Cameron. She loved bon-bons and men who would spoil her. She had a firm believe in God and considered Jesus Christ 'the Prince of Peace' and the true leader of the free world. Whether she was a good or poor handicapper with the horses has never been documented. But she did love to watch them run, especially if she had wagered a bet. Gin, gambling, and a royal crown. Elizabeth wore all of them with style, a true Queen to the United Kingdom until her death at age 101. May she be remembered forever.